Infinite CU provides Group Training Sessions 6-7 days a week at multiple times of the day. 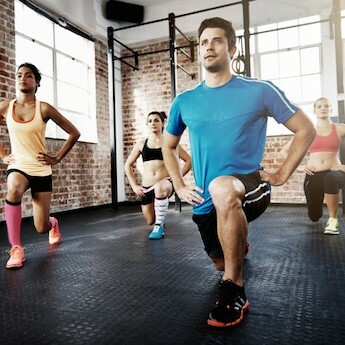 Group Training is designed to help get you in the BEST shape of your life. No matter where you are at physically, our workouts provide modifications for beginner to advanced level fitness. Infinite CU Trainers will work with you to develop your conditioning and become stronger in each muscle group. Our group training program consists of 3 Strength workouts and 2 Cardio/Core Conditioning workouts Monday-Friday every week. We also provide a total body conditioing circuit and recovery type workout (yoga/mobility/etc.) on the weekends. Each workout is challenging yet FUN! You will have a blast while you workout and will also meet like-minded people with the same desire to be fit & healthy! Please review our group training schedule and membership/class pass options. This is the BEST and CHEAPEST way to train with Infinite CU! Choose between a 6 or 12 month membership options! (we do offer a 3 Month "Paid in Full" Option as well) Each option gives you access to UNLIMITED Infinite CU Group Training Sessions! Become an Infinite CU Member today! Class Pass options are great for anybody who can only attend 1 or 2 sessions a week or perhaps only want to attend 1 specific session. You may use Class Passes for any Infinite CU Fitness class that you choose. Class Drop In Rate: Just dropping in to knock out a quick group workout with us? $10 each session unless its your 1st time working out with us (see below). Great for people visiting out of town or who can only attend our workouts every once in a while. New to Infinite CU? If you have NEVER tried one of our classes before, your first class is always FREE! After that you will have to choose from one of the above options! Also, keep your eye on our Facebook page for announcements. We tend to have many FREE workouts a year that we open up to the public. These workouts are usually holiday themed or for a charity/benefit. Great way to try Infinite CU! © 2019 InfiniteCU. Built on Envisionwise Technology. Administrator Login.